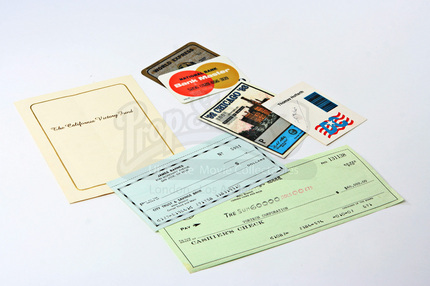 This is a document lot created for the production of the 1993 Clint Eastwood thriller In The Line Of Fire. 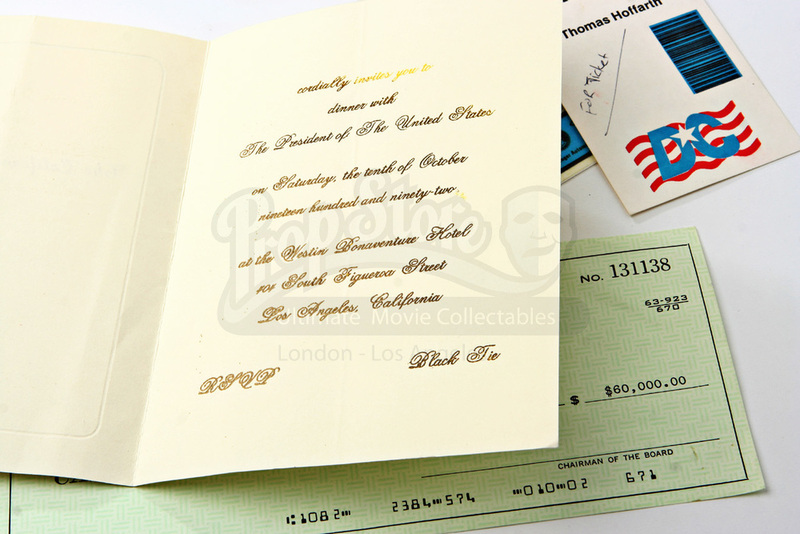 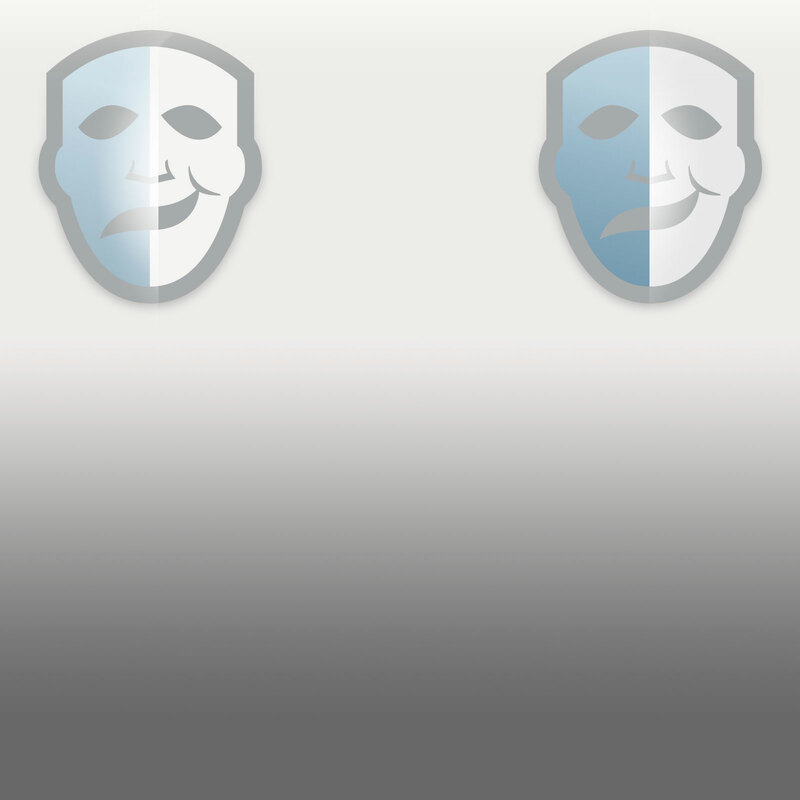 Documents such as these can be seen used by Mitch Leary (John Malkovich,) who has a number of aliases, throughout the film as Frank Horrigan (Eastwood) tries to prevent what he couldn’t in 1963, the assassination of the President of the United States. 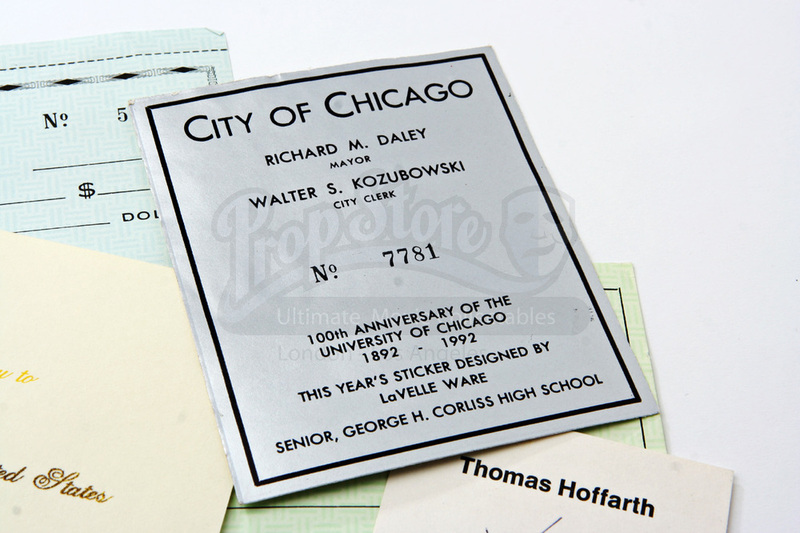 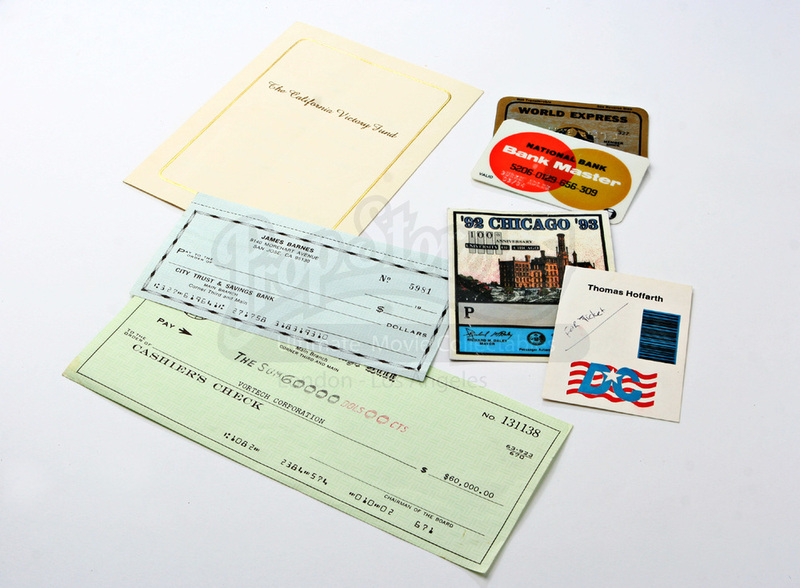 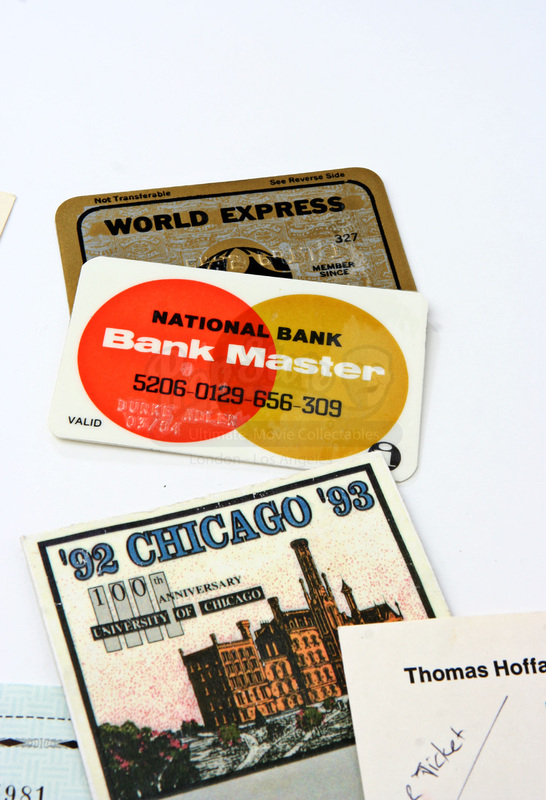 The documents included here are a 1992-1993 Chicago vehicle tax sticker, a blank personal check with the name James Barnes, a paper badge with the name Thomas Hoffarth, as well as a $60,000 cashier’s check made out to Vortech Corporation, two credit cards with the name Burke Adler, and an invitation to a black tie dinner with the President. The documents are all in good condition.